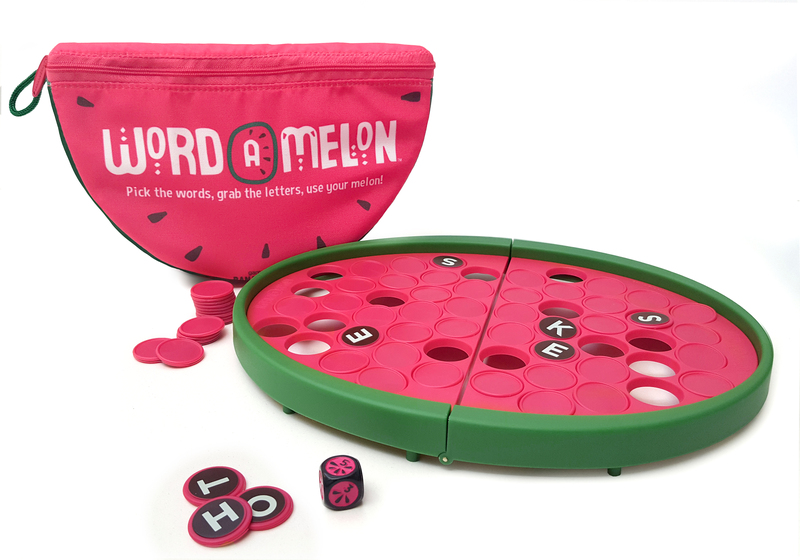 In the word search gameWord-a-Melon, players take turns rolling the die, flipping letter chips, and creating words with the revealed letters. Unused letters are flipped face down again, so players need to use their melon to recall which letters are where. In the end, the player with the most chips wins!